The Adult Education Centre is housed in two buildings, one of which is Grade II listed. 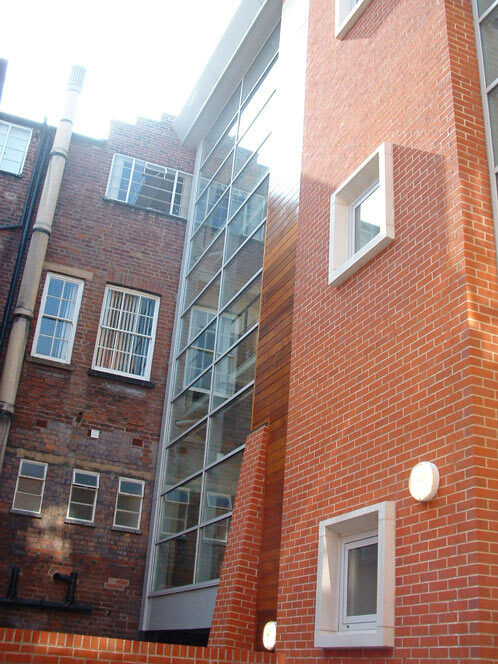 They needed to be linked to create internal access and this link was to run across an enclosed courtyard formed by the existing buildings. Before devising the link we studied how pupils and staff moved around the two buildings. 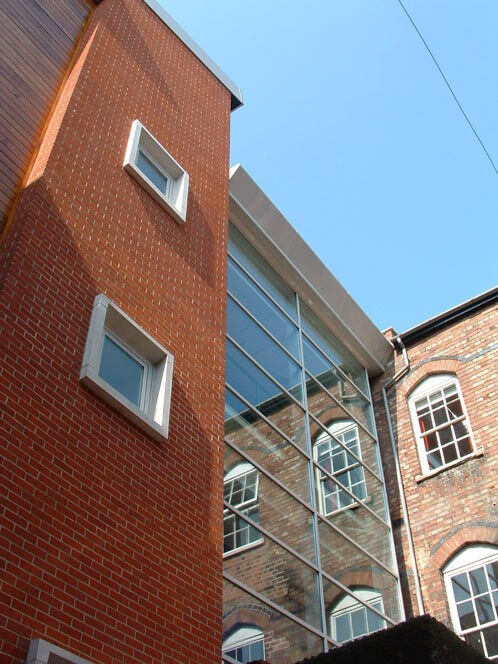 Further considerations were access for wheelchair-users, the impact of the building on the existing courtyard and the technically demanding nature of joining two existing buildings with entirely different structures, heights and floor levels. 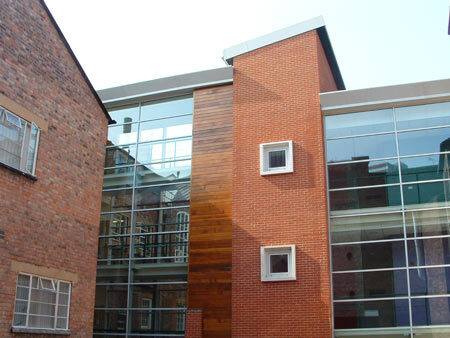 Our scheme greatly improved the use of a relatively inaccessible building, and was hugely well received by its occupants. The Link Bridge connects four floors to allow smooth access between one building and the other. It contains a new staircase and elevator to unify the structure and resolve accessibility issues. Glazed on both sides with simple detailing, the bridge contrasts with, yet respects, the existing architecture. Not only was a problem solved, the scheme created a sociable, free-flowing environment in which to work and learn.